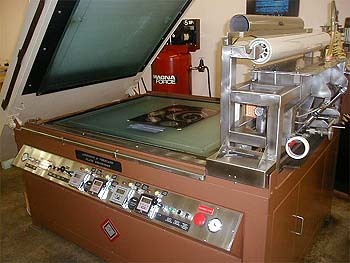 We have two liquid systems and one sheet system in use. Liquids can vary durometers and be capped if you wish. Any caliper plate for any project should be no problem. 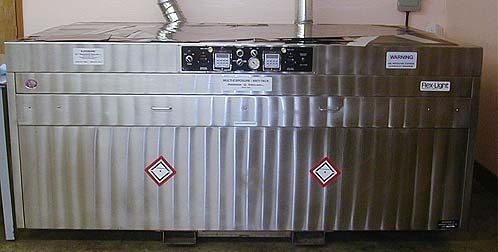 A & V liquid machines (1) 24" x 30" (1) 30 X 40"
sheet system: Flexlight 52" x 80"